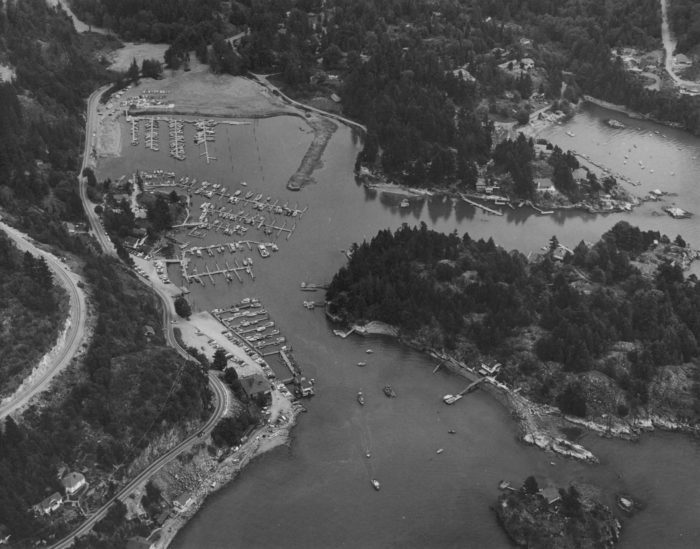 The Thunderbird Marina story begins in 1952 with a small marina opening to service local boaters in Fisherman’s Cove, West Vancouver. With a protected location, stable docks and exemplary service, our business quickly grew, and by 1970 we had over 1000 slips, and acquired Westport Marina on southern Vancouver Island. True to our West Coast roots, we focussed on our local service, and our two marinas developed into British Columbia’s most environmentally advanced boatyards. As our reputation as a marina grew, so did our Thunderbird Yacht Sale brand, which established offices throughout BC to help literally thousands of boaters experience the unparalleled beauty of our BC waters. Today, Thunderbird Marina has expanded its dock system to also accommodate longer and wider boats, and we will soon begin the same upgrades at Westport to continue the history of service we began here over 65 years ago. Our unparalleled access to the West Coast waters is something that needs to be seen. Thunderbird is situated in a sheltered bay in West Vancouver, which protects the marina from any weather. Our sheltered location provides a calm, relaxing environment while docked at the marina, and reduces the wear and tear on vessels, and allows for easy maneuvering. Thunderbird Marina is a safe, secure environment. All access is controlled via electronic gates. These gates allow staff to monitor traffic coming into and out of the marina at all times. There is ample parking available at the marina. One complimentary Parking Permit is provided for the duration of your contract. Security personnel patrol the parking areas 24/7. Check out our Moorage Rates and Marina Services now.